. :: RIBCHESTER, JACK HOBBS & MOVE UP LEAD POWERFUL DUBAI WORLD CUP NIGHT SQUAD ::. Godolphin has strong representation in the feature G1 races on Dubai World Cup Night at Meydan, UAE, on Saturday, March 25 with Ribchester, Jack Hobbs and Move Up headlining a powerful team. 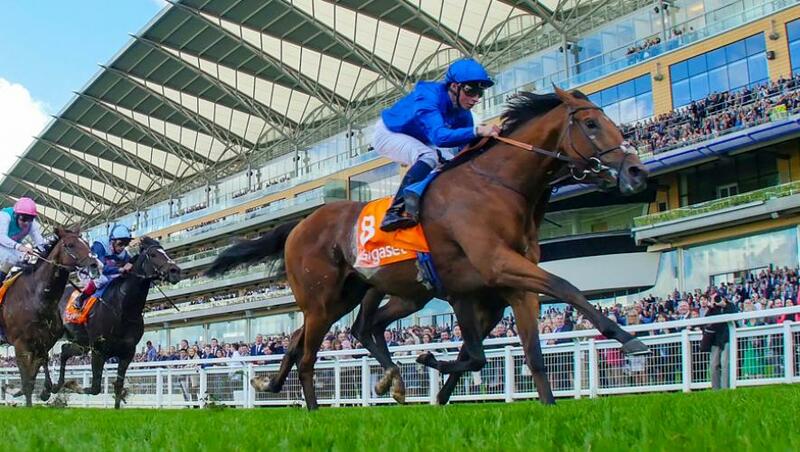 Ribchester (Richard Fahey/William Buick, drawn one), an impressive winner of the mile G1 Prix Jacques le Marois at Deauville, France, in August, steps up to nine furlongs for the first time in the G1 Dubai Turf (19.30hrs local time) which has prize money of US$6 million. The four-year-old Iffraaj colt, third over a mile in both the G1 2000 Guineas and the G1 Sussex Stakes in the UK last year, makes his first appearance since going down by half a length to Minding in the mile G1 Queen Elizabeth II Stakes at Ascot, UK, in October. He is joined in the Dubai Turf by five-year-old mare Very Special (Saeed bin Suroor/Silvestre de Sousa, drawn eight), who was a cosy winner of the G2 Cape Verdi over a mile at Meydan on January 26. The daughter of Lope De Vega, a G1 runner-up at Newmarket, UK, in 2016, came home a close fifth over the same course and distance as the Dubai Turf on her latest outing in the G2 Balanchine on February 16. The field of 13 for the Dubai Turf also includes Prix du Jockey Club runner-up Zarak and Juddmonte International third Mutakayyef. Five-year-old Jack Hobbs (John Gosden/William Buick), a five-length winner of the G1 Irish Derby in 2015, lines up alongside Prize Money (Saeed bin Suroor/Adrie de Vries) in the US$6 million G1 Dubai Sheema Classic (20.05hrs) over a mile and a half on turf. The son of Halling endured a punctuated 2016 campaign after a stress fracture to his pelvis but ended the year with a good third in the 10-furlong G1 Champion Stakes at Ascot, UK, in October. Prize Money makes his G1 debut following two course and distance wins, most recently when quickening well to beat Postponed by a neck in the G2 Dubai City Of Gold on Super Saturday, March 4. The four-year-old re-opposes four-time G1 scorer Postponed, with fellow multiple G1 winners Highland Reel and Seventh Heaven also featuring among the seven runners. Move Up (Saeed bin Suroor/Adrie de Vries, drawn six) takes on the world’s best horse Arrogate in the US$10 million G1 Dubai World Cup Sponsored By Emirates Airline (20.45hrs) over 10 furlongs on dirt. 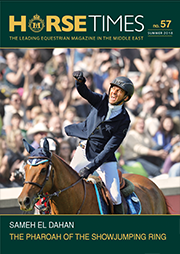 The four-year-old Dubawi colt progressed through the ranks on turf, winning the G2 International Bosphorus Cup at Veliefendi, Turkey, in September and the G3 Cumberland Lodge Stakes at Ascot, UK, a month later. He acquitted himself well on his dirt and seasonal debut when coming home fourth in the 10-furlong G1 Al Maktoum Challenge Round Three Sponsored by Emirates Airline on Super Saturday. In addition to Arrogate, the field of 14 for the Dubai World Cup also includes last year’s second Mubtaahij plus US G1 scorers Gun Runner, Keen Ice and Hoppertunity.